The oldest proved public house in Hucknall and a fine example of an 18th Century hostelry, kept at one point by Theophilus Allcock, churchwarden, in 1749. The architecture of the building appears to date from about this period. Originally it had a row of terraced cottages in the yard at the rear. 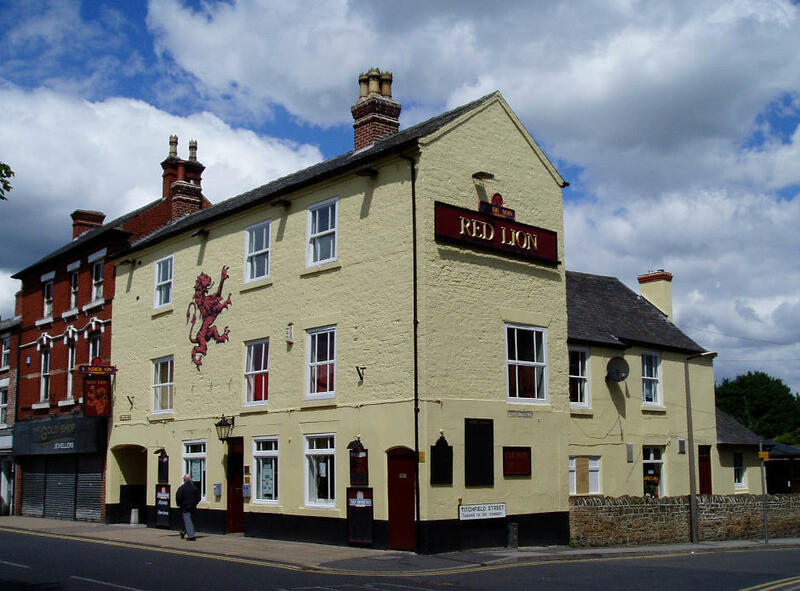 The Red Lion is famed as a rent house of the Byron family. The Byron tenants were feasted there on their annual rent day. Mr Daws, Lord Byron's steward, was a Hucknall resident. The Baptists rented a house in the Red Lion's yard, at £7 per year. It is said that Ben Caunt, the prizefighter, when a youth, acted as candlesnuffer.